Joyeux Mardi Gras! 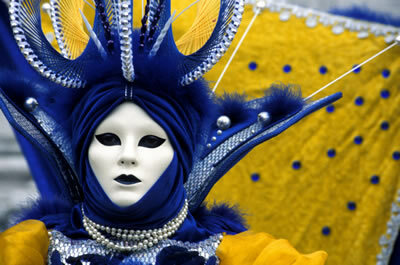 Celebrate Mardi Gras Grand Marais style tonight at 7 p.m. at the Costume Competition and Dance @Mon Ami, 7304 E. Hwy. 90, Jeanerette. Parade tomorrow at 11 a.m., Hwy. 90 E. at College Rd., Jeanerette. Come see Tim Smith's exhibit at our visitor center, 2513 Hwy. 14 in New Iberia. It's crawfish season at Bon Creole in New Iberia! Throw me some seafood mister! Little River Inn in New Iberia is open late: 10 p.m. Mon-Th and 11 p.m. Fri and Sat. The perfect place to unwind after the parades!